CUSTOM EXPOSED BEAM CRAFTSMANSHIP FOR YOUR MOST IMAGINATIVE IDEAS. Our timber frame artisan’s passion for high quality wood and traditional wood joinery bring you the most durable and beautiful structures and decorative timber components anywhere. We believe in preserving the integrity of wood by showcasing its grain, color, and cut in every one of our designs. Our passion for traditional timber framing is the driving force behind our commitment to handcrafted work today that evokes the best work of the past. Our services cover a wide range of custom wood building—from timber frame structures and heavy timber trusses to restoration and reproduction of historic structures. Triton’s craftsmen furnish your project as no other single source can with custom flooring, cabinetry, doors, timber staircases, furniture, and millwork for a totally hand made home. The hallmark of Triton Timberworks is our individualized approach to each client’s vision for beautiful wood designs. Our facility is in an 1887 cotton mill with 365,000 square feet. It provides the space to meet your project requirements regardless of the size. We have built our reputation through our discriminating selection of fine woods. Rather than ordering timber from the cheapest source, we order from the best sources of beautiful and sustainable woods. We are artisans of fine wood building. Our team of master craftsmen is comprised of timber framers, cabinet makers, furniture makers, and restoration specialists. 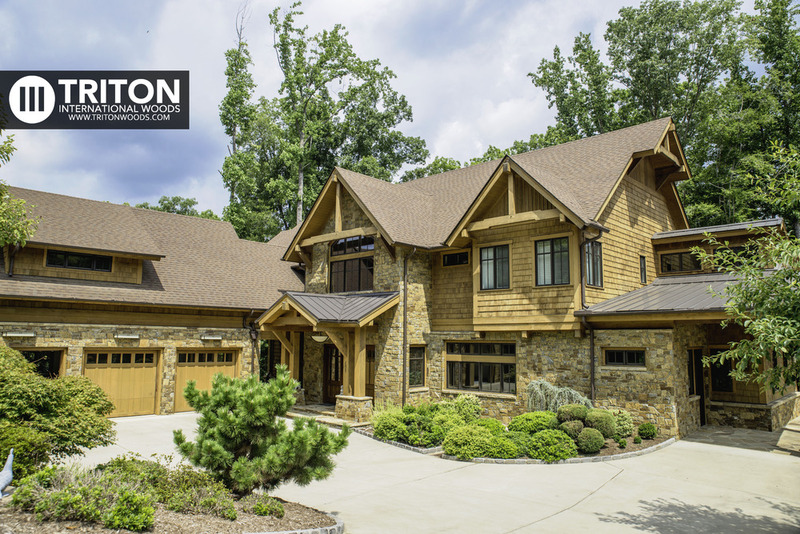 We’ve worked with builders, architects, designers and homeowners in more than 25 states to bring our custom craftsmanship to their timber frame projects.